Many of our clients are Administrative Professionals who book transportation for their executives, VIP customers and corporate events, and so every year we try to show our appreciation with a fabulous giveaway to treat one lucky winner. This year we’re partnering with Eddie Merlot’s and Evolve Salon & Spa to treat a hard-working Administrative Professional with a terrific package … see below for details! No purchase is necessary, just provide your email address to sign up for newsletters from all three businesses and you’ll be entered in the drawing. Entries open on Saturday April 8 and close at noon on April 17. 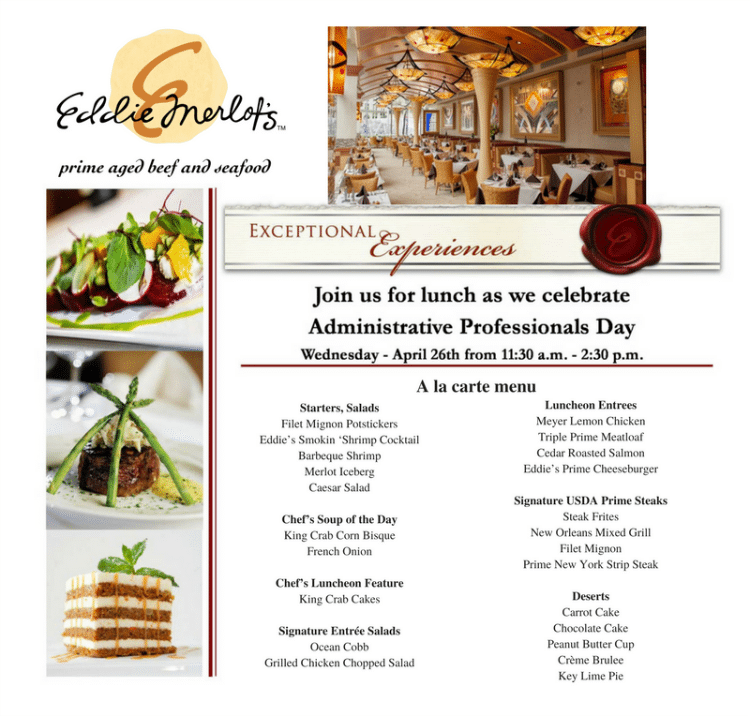 You can thank your favorite Administrative Professional by taking them to Eddie Merlot’s luncheon on Wednesday April 26 featuring special surprises and giveaways! 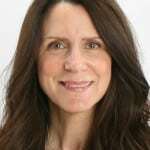 The upscale steak and seafood restaurant at One Loudoun is will be operating outside their normal business hours to express their appreciation for the Administrative Professionals, who can come with any size group between 11:30 a.m.-2:30 p.m. that day. The a la carte menu will feature diner favorites such as Eddie’s Smokin’ Shrimp Cocktail, King Crab Cakes, Triple Prime Meatloaf, New Orleans Mixed Grill and much more! See full menu below. If you would like to book lunch for a large group on April 26, please click here to email Mindy Diemar. Book a Vehicle & Make It An Extra Special Day! Take your Administrative Professional staff in style to lunch! With more than 200 vehicles including sedans, limousines, SUVs, vans, Van Terras, Minibuses and Motorcoaches, we can accommodate any size group. Booking a vehicle is as easy as 1-2-3!